These renderings show what it would look like in National Car Rental Field. The car rental company signed a $158 million deal to name an in-flux riverfront stadium. Updated 1:31 p.m. Dec. 15 - Backers of a proposed new NFL stadium for St. Louis have an extra $3 million at their disposal, thanks to the state of Missouri. The Missouri Development Finance Board voted 9-1 Tuesday to grant a line of credit to the St. Louis Convention and Sports Complex Authority. The group had spent most of its available cash at hand on efforts to persuade the Rams to stay in St. Louis. 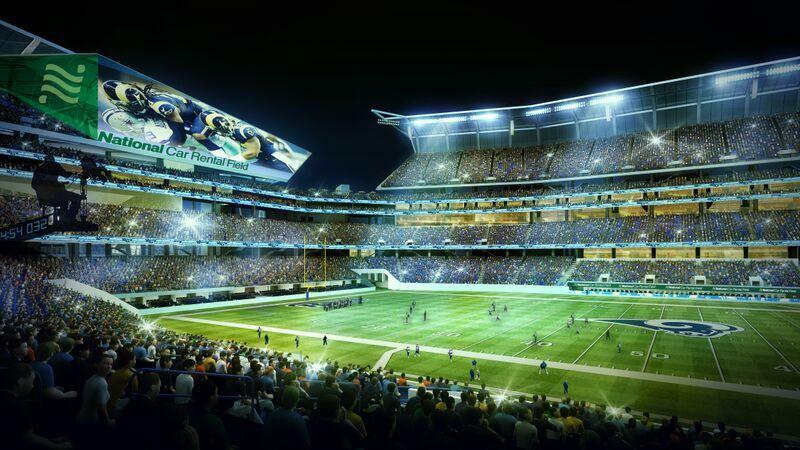 Owner Stan Kroenke wants to move the team to Los Angeles, to a proposed new stadium in the suburb of Inglewood. “There’s a huge economic impact if the Rams move (away) or if the (proposed) stadium isn’t built,” board member Kelly Martin said before the vote. The lone “no” vote came from Lt. Gov. Peter Kinder. Kinder based his vote on his overall opposition to Gov. Jay Nixon’s plans to extend bond payments on the Edward Jones Dome to help pay for a new stadium. He also voted against granting $15 million in tax credits to the stadium proposal for the same reason. Kinder also objected to the vote being held today, saying that normally the proposal would be presented to the finance board one month before any vote is taken. Bob Miserez, the state finance board’s executive director, said the expedited vote was necessary because of the NFL’s Dec. 30 deadline for St. Louis, Oakland and San Diego to have their stadium proposals finalized, including financing plans. Original story -- Citing continuing costs for designing and planning a proposed stadium on St. Louis’ riverfront, the St. Louis Convention and Sports Complex Authority is asking a state board for a line of credit to bolster its depleted expense fund. The authority, which owns the Edward Jones Dome, has helped contribute money to pay for the design and development efforts for a $1 billion riverfront stadium. The state, St. Louis County and St. Louis contribute funds every year to pay off bonds for the dome and to maintain the facility. Neither McMurtry nor Regional Convention and Sports Complex Authority Chairman Jim Shrewsbury responded to messages from St. Louis Public Radio. The packet of documents also includes a legal opinion from Blitz, Bardgett & Deutsch, L.C. contending that the RSA is authorized to enter into a line of credit arrangement with the Missouri Development Financing Board. That firm has acted as counsel for the RSA, and one of that law firm’s partners – Bob Blitz – is part of a two-person task force spearheading the riverfront stadium proposal. The line of credit request comes as the Board of Aldermen is expected to take up a financing package on Tuesday that would pay for the city’s portion of the stadium project. It also comes about a month before NFL owners are expected to decide whether the St. Louis Rams can relocate to Inglewood, Calif. While the stadium proposal could potentially thwart St. Louis Rams owner Stan Kroenke’s bid to move his team, there’s no guarantee that would lead to the facility being built. That’s because the financing plan requires Kroenke to chip in $250 million and agree to a 30-year lease. And it’s highly possible that Kroenke may want to keep his squad playing in the Edward Jones Dome, as opposed to building a new stadium in a city that he apparently wants to leave. The Missouri Development Finance Board recently approved tax credits for the stadium proposal. 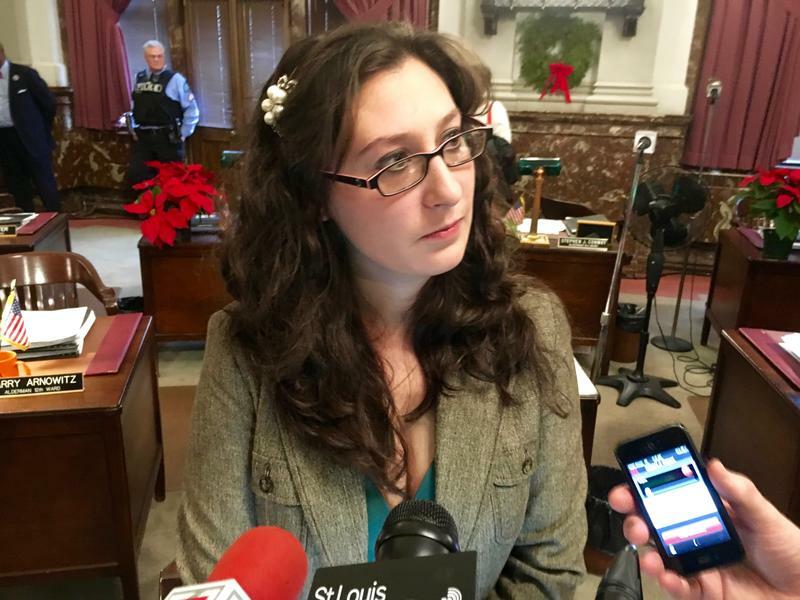 The only member of the board to vote against the measure was Lt. Gov. 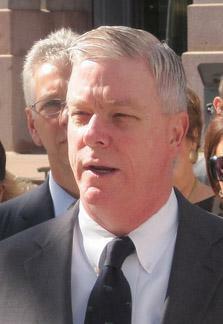 Peter Kinder, who said on Monday he has “lots of questions” about the line of credit request. “I assume they wouldn’t bring it before us if they didn’t have the votes to pass it through,” said Kinder, noting that Gov. Jay Nixon’s appointees and cabinet members effectively have control of the Missouri Development Finance Board. On this week's edition of the Politically Speaking podcast, St. Louis Public Radio's Jason Rosenbaum and Jo Mannies are pleased to host a special edition* of the show with former Missouri House Speaker Steve Tilley and Missouri State Sen. Jamilah Nasheed. Mo. Lt. Gov, Peter Kinder wants the Missouri Development Finance Board to review the way it approves financing for economic development projects. The request comes in the wake of the Mamtek fiasco in Moberly.